(One of, or five of) Danny Boyle’s Secrets at the 2012 Nondon Opening Ceremony, which was Spectacular for Kaidie the Spectator and Near-Spectre. 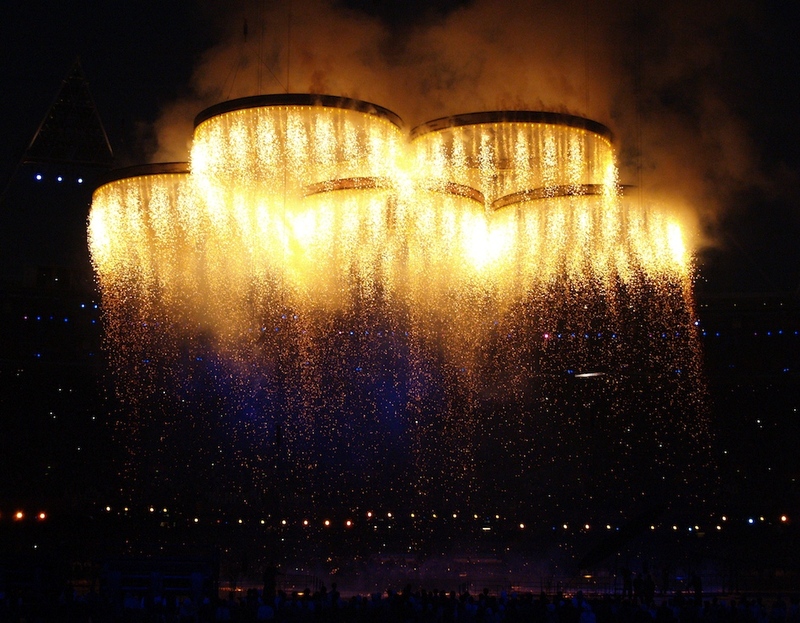 With these rings of fire, the 2012 Nondon Olympics opens, and Kaidie runs towards her dead-line. This entry was posted on Saturday, July 28th, 2012 at 08:09	and is filed under NONDON A-Z, THE LAST (FINAL) 60 DAYS. You can follow any responses to this entry through the RSS 2.0 feed. You can leave a response, or trackback from your own site.